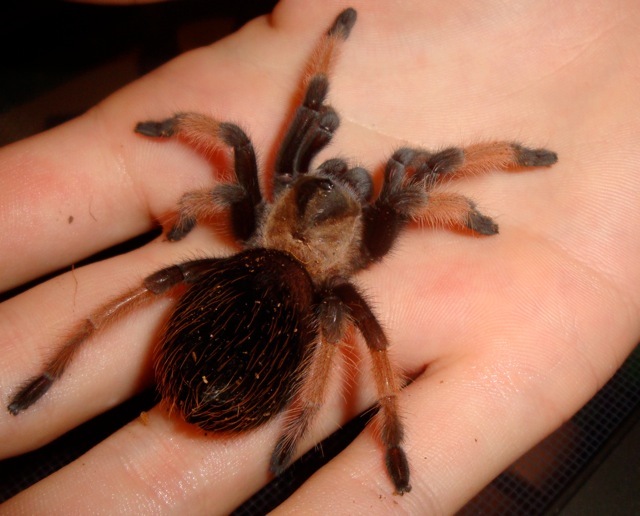 Courtney started carrying around wolf spiders before she was 2, so when a neighbor offered her a tarantula at age 6, she said, "YES!" 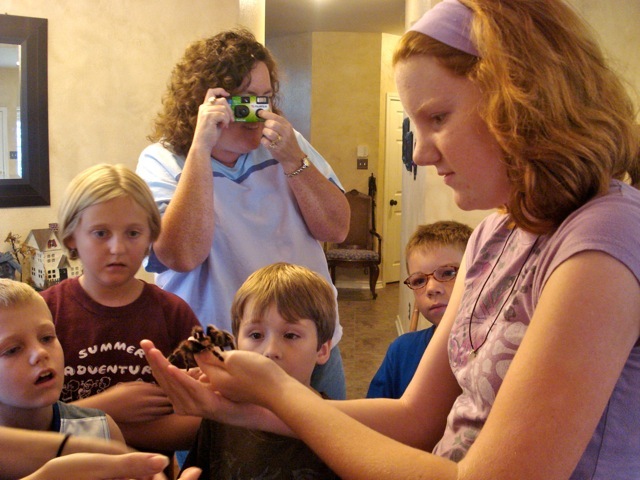 Courtney loves all critters, but her heart belongs to her 8-legged friends. When Courtney was 10 years old she offered neighbors on our street a special spider removal program. If neighbors promised to stop killing spiders, Courtney would come and remove spiders from their homes. She was able to rescue many spiders from an untimely death! Courtney wants everyone to know that spiders are helpful, misunderstood critters. 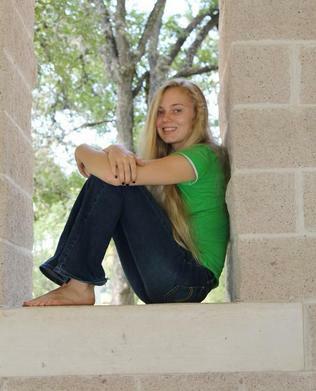 When Courtney isn't caring for her animals, she enjoys playing the guitar, piano, and ocarina. 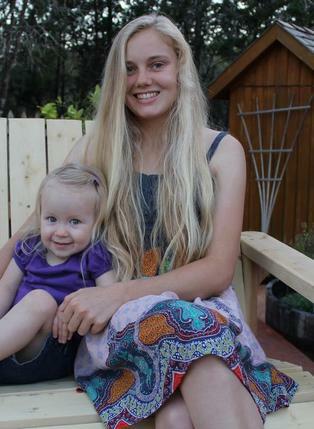 She hikes daily and goes wake boarding with her friends as often as she can! Erik has always been facsinated by all kinds of critters. One year he helped plant a butterfly garden. He waited and waited AND WAITED for a butterfly guest. Finally one day a beautiful, black butterfly visited the garden. While Erik and Courtney were observing their guest, a lizard jumped out of the flowering bush and ate the butterfly! 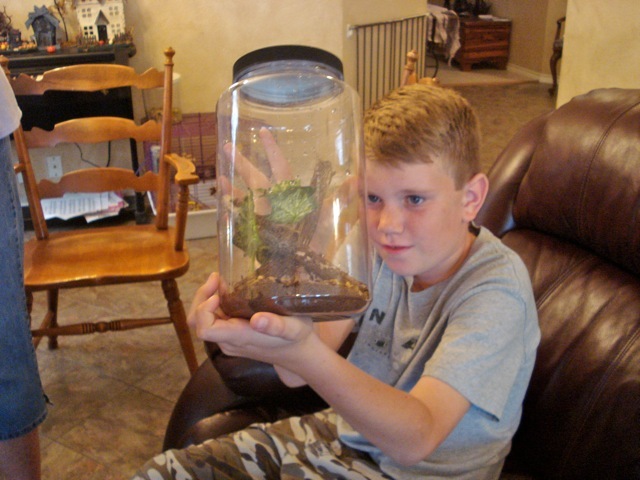 Erik, Courtney, and their friend Katrina spent the next week removing all lizards from their butterfly garden. Lizards were all rehomed to the other side of the backyard. Erik likes growing organic herbs and learning how herbs help. He wants everyone to know pesticides can be harmful to the earth and are not necessary when growing healthy plants. When Erik isn't caring for his critters, he enjoys fishing, hiking, and hanging out with friends. 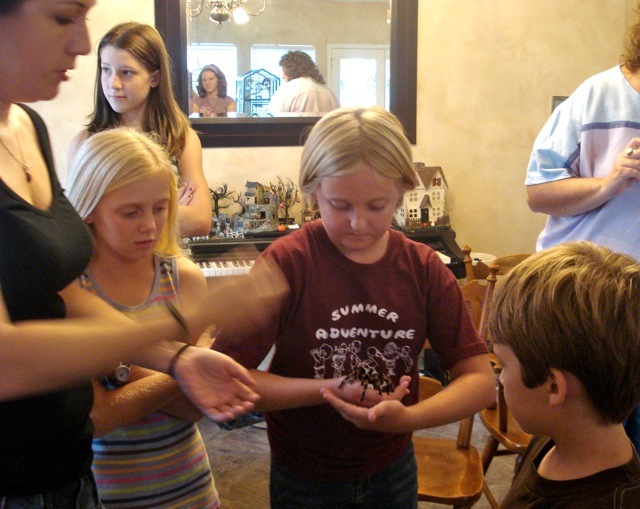 Sandy, a friend and teacher, formed a class called Creepy Critters for homeschool families. 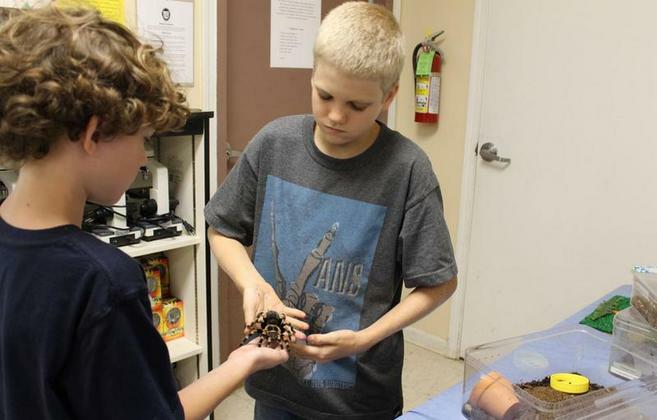 Sandy, Erik, and I share a passion for arachnids and other critters. Sandy invited anyone interested in creepy critters into her home to learn more. Erik and I enjoyed helping Sandy with the presentations. 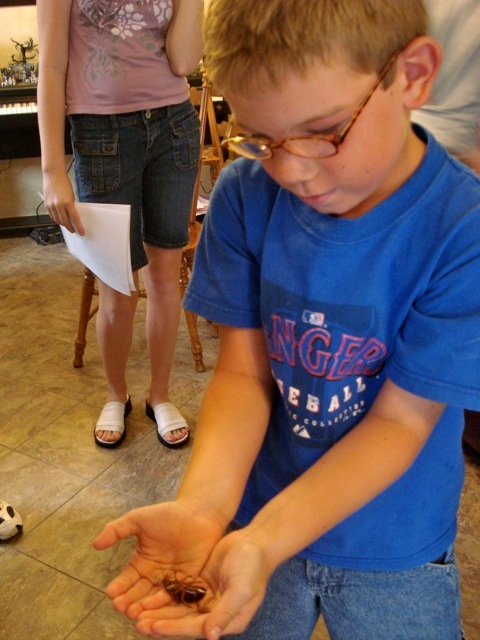 When we moved in 2009, Erik and I decided to write a speech and put together a power point presentation to continue teaching others about critters. I changed the name to 'Not So Creepy Critters' to focus on helping people let go of their fears. Courtney and I save the money we earn from selling critters, giving presentations and setting up display tables so we can grow our business, Not So Creepy Critters. Courtney and I plan to go to college and study biology and agriculture. Our dream is to buy land for a nature awareness resort. We envision adding more animals and a classroom where kids and adults can enjoy learning more about nature. Erik and I learn from experts. John Slaughter is a friend of ours who is a biologist & entomologist. We spend hours with John learning about different critters. Here we are picking up tarantulas to sell to science teachers. 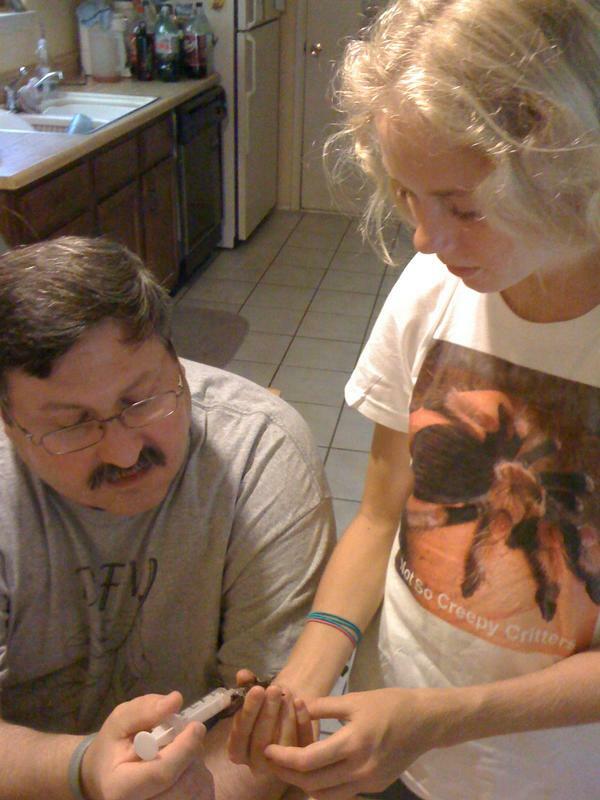 In the picture on the right, John is teaching me how to force feed a tarantula who had a bad molt and broke her fangs. She's being fed cricket soup! ~We go straight to the experts! We invited Drs. Paul and Marj Barlow to our house to talk about easing fears. 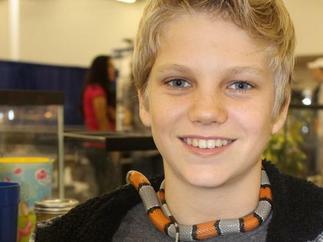 Watch our October 2012 vlog and learn more about fears and phobias. All of our vlogs can be viewed on the 'Videos' page on this website! John Slaughter visited us in May 2012. We went scorpion hunting and learned more about the insects living in our yard. 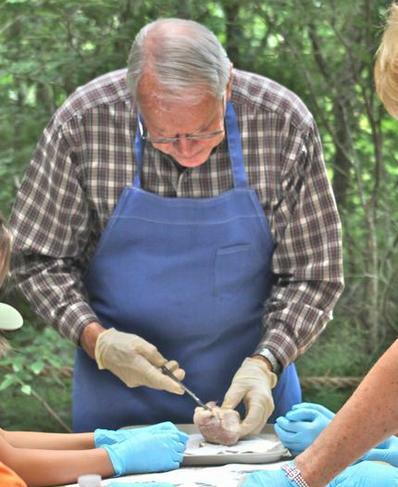 The hearts were dissected under the guidance of a cardiologist. 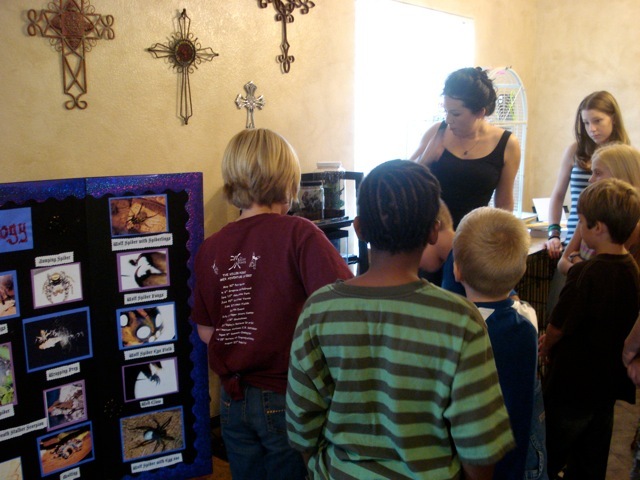 Sign up for one of the science classes at Friedrich Park by calling 210-207-5320.